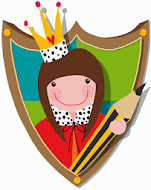 Queen Kwak: Illustration: Fairytale Princess party Invitation. 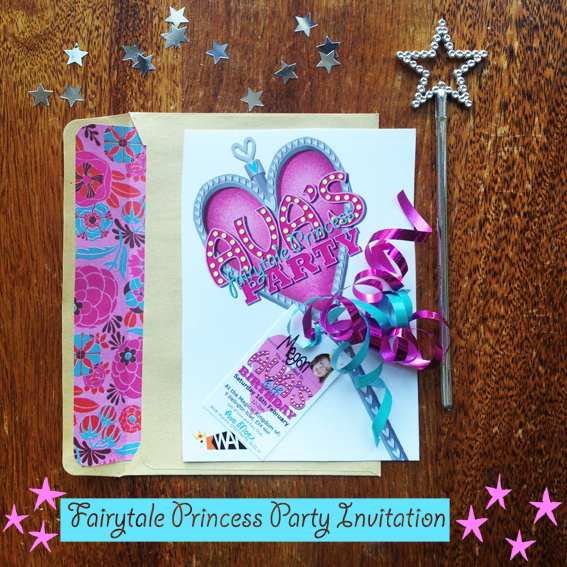 Illustration: Fairytale Princess party Invitation. Another invitation for you today. I was contacted to design a Fairytale Princess party invitation for a 6th birthday. This was the entire brief, so I was free to create whatever I so fairytale inspired wished. I decided to go along a magic wand route, as six year old girls are generally rather partial to fairy wands, and this is what I came up with. 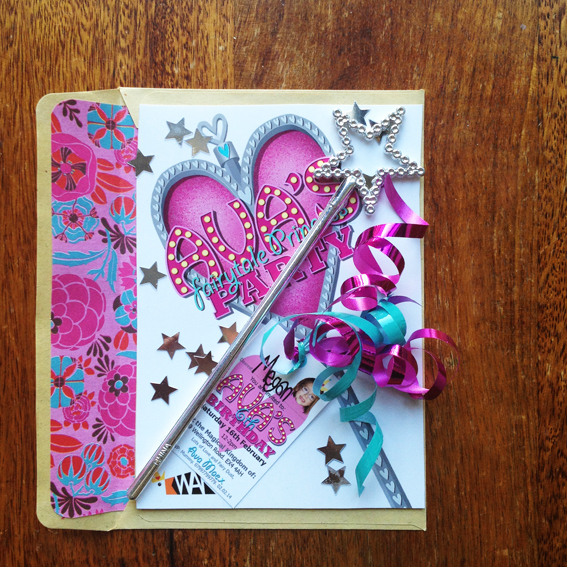 The main body of the card is A6, with a separate tag, tied on with gift ribbon. 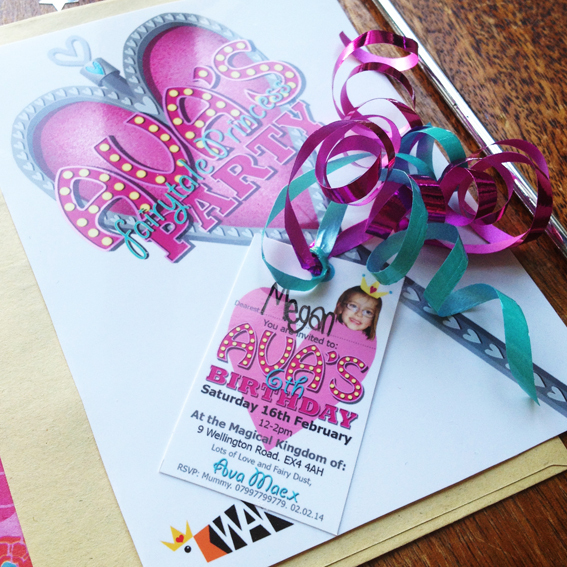 The little tag is fully personalised, holding the party details and has a photo of the birthday girl herself and a line to fill in the recipricants name. Close up displaying the separate tag, details and gift ribbon. Matching envelopes were made, which were C6 Kraft envelopes, with a coordinating patterned craft paper inserted inside. Very simple but poshes it up a touch and adds to the overall prettiness. 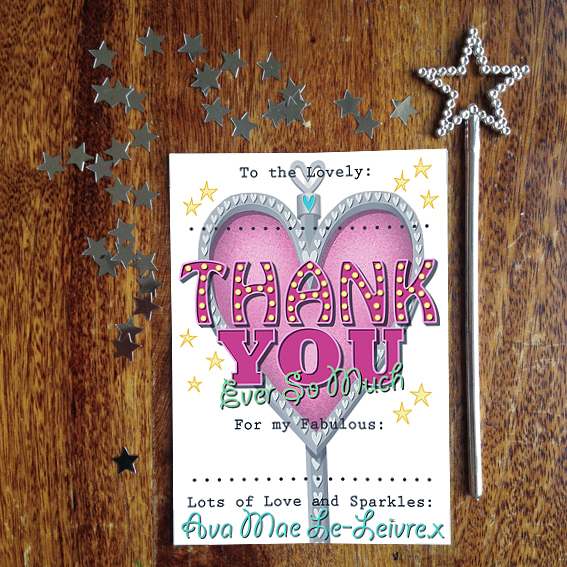 And to go alongside the invitation , I could not resist adding these little party wands and naturally it needed some sparkle, aka fairy dust in the form of silver confetti. Overall the client and her soon to be six year old daughter were very happy indeed. The Thank you cards were requested additionally, for the now six year old to send to thank all her party goers and gift givers. I made the same envelopes as the invitations and they became a nice addition to the whole set. These invitations will also be available, fully personalised, in my forthcoming Etsy shop... Coming soon. Artwork copyright of Queen Kwak. Life: London Transport Moquette Cushions. Illustration: 80th Birthday Telegram Invitation. DIY Tutorial: Crate on castor's toy storage.